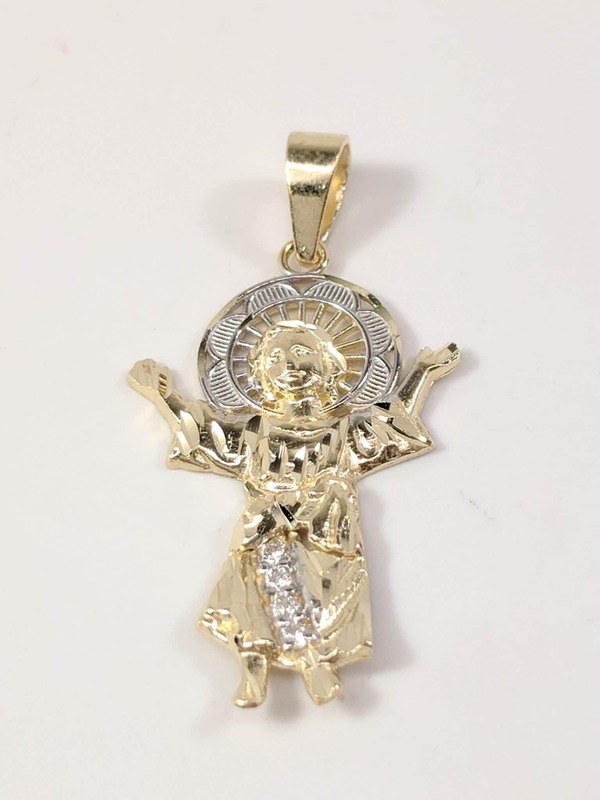 This beautiful pendant makes an excellent present for the faithful. 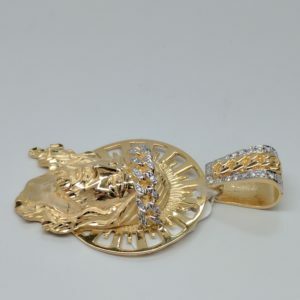 It is made of 14 karat yellow and white gold. 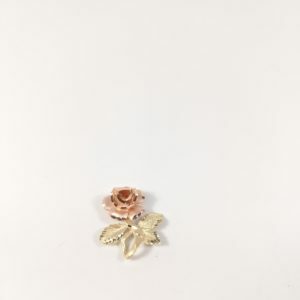 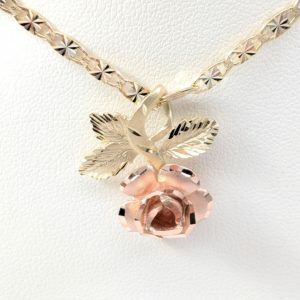 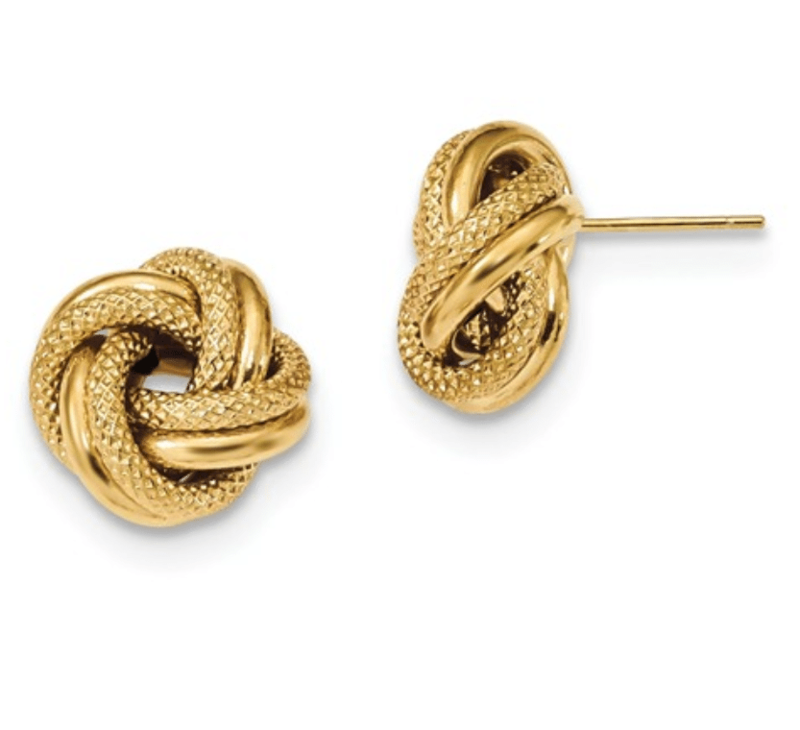 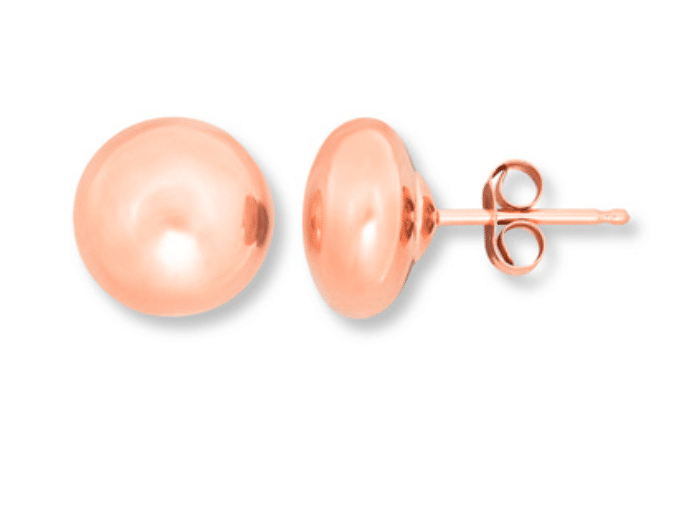 This tricolor rose pendant is enchanting in 14 karat gold. 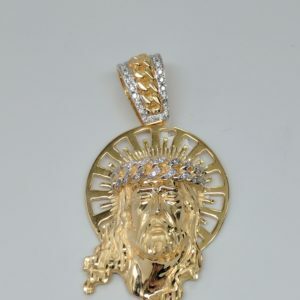 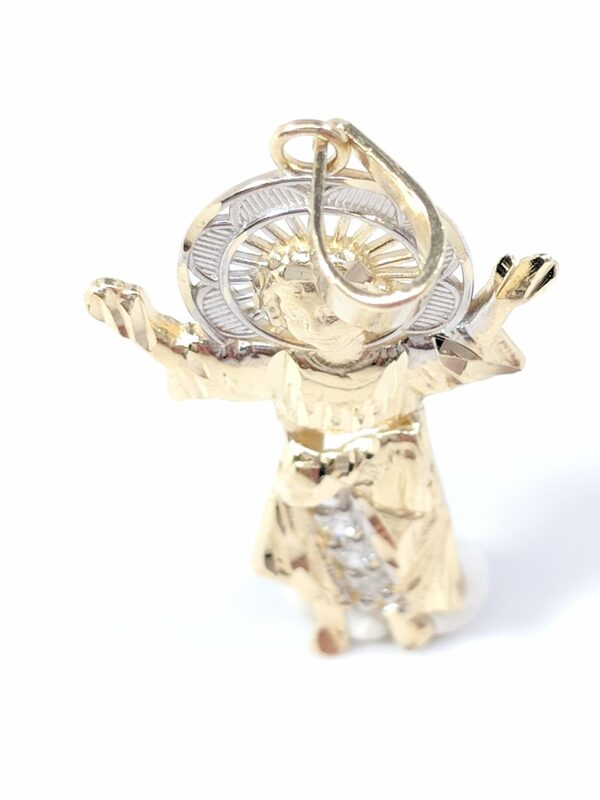 Available is a 14KT yellow gold men’s Christ head pendant with a diamond cuban link crown. 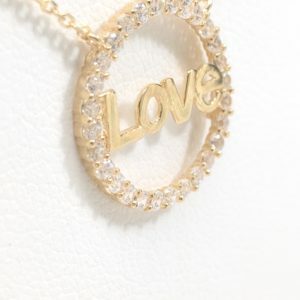 Love pendant with row of cubic zirconia with 18″ necklace. 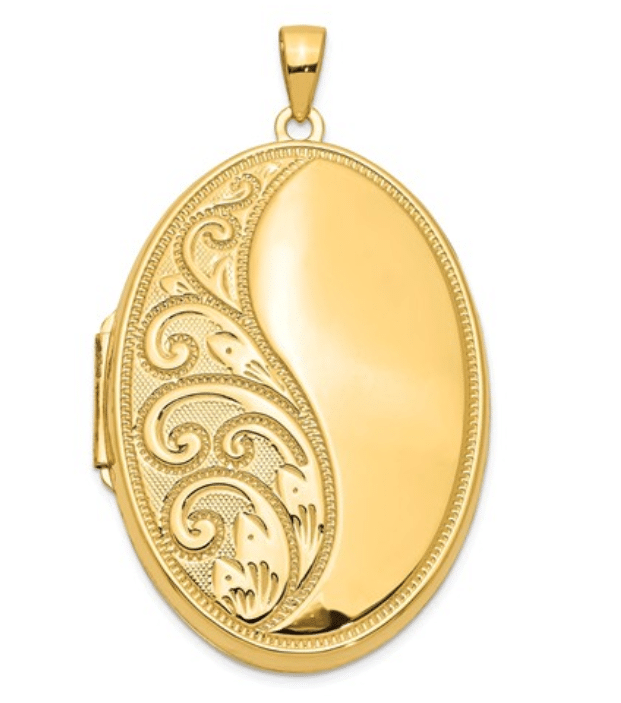 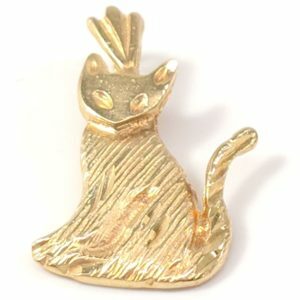 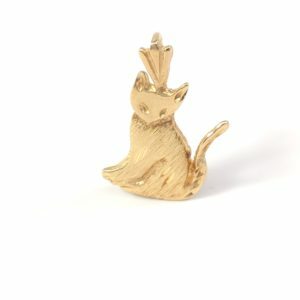 You’ll look fresh off the catwalk with this stunning Cat pendant made of 14 karat yellow gold. 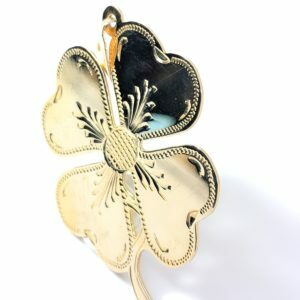 The four-leaf clover is a rare variation of the common three-leaf clover. 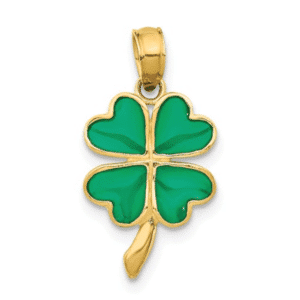 According to traditional superstition, such clovers bring good luck. 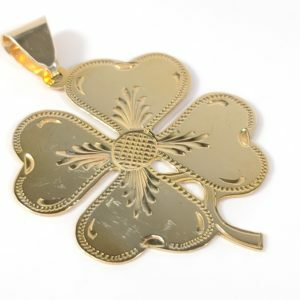 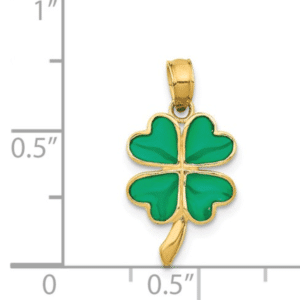 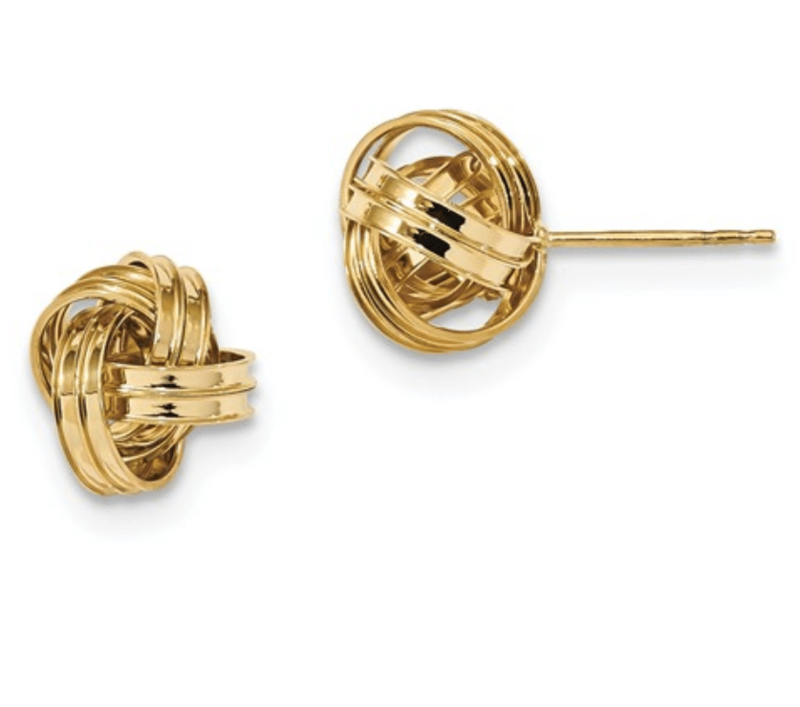 This four-leaf clover is made of 14 karat yellow gold. 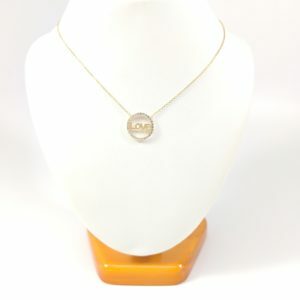 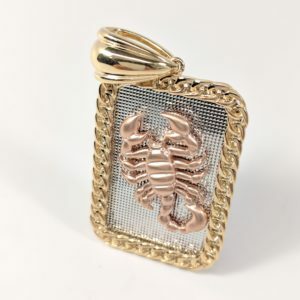 This item can be personalized with name or date. 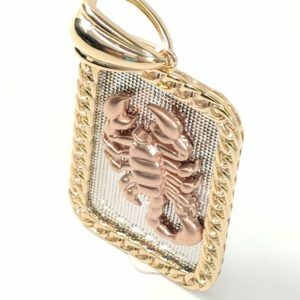 Please note, if personalized item is non-returnable. 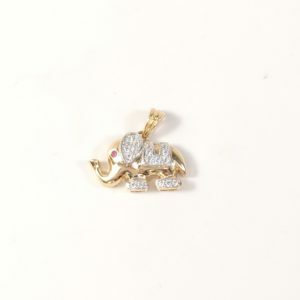 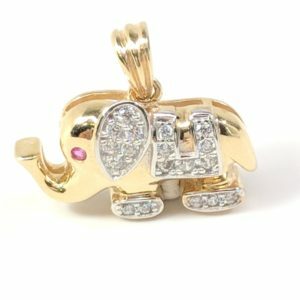 Elephant made of 14 karat yellow gold with red and clear zirconia for extra sparkle and enhanced bling.